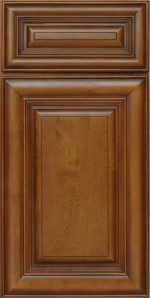 The subtly aged look of the Cambridge door is achieved through the application of a warm amber stain and brown glaze burnishing effect. 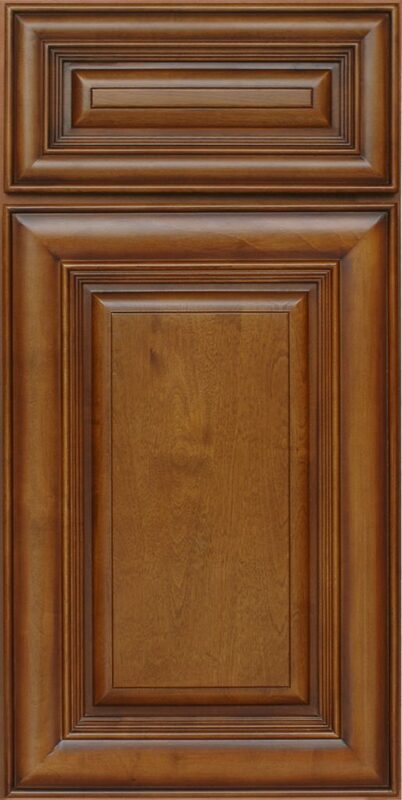 Cambridge is a full overlay style door and drawer with a matching solid maple raised center panel design on both. 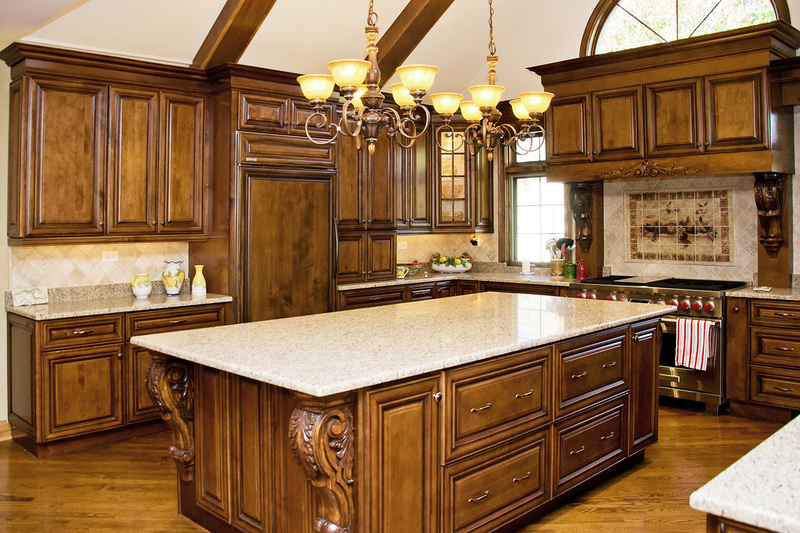 The solid hardwood maple frames are joined with mitered construction for quality and durability.